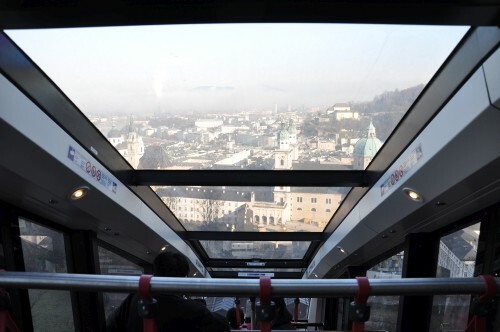 The cable car Salzburg connects the old town of Salzburg with the Hohensalzburg Fortress. 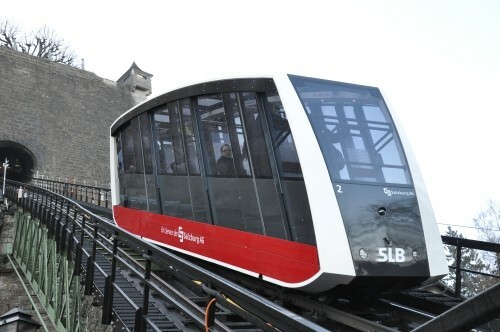 In the course of modernization in the spring of 2011 two new cabins have been installed, who meet the latest state of technology. Simultaneously, the theoretical capacity was increased from 1.600 persons per hour to 1.850 persons per hour. One cabin transports a number of 55 persons. In a time of 48 seconds they overcome an elevation difference of 102m over a distance of 199m. 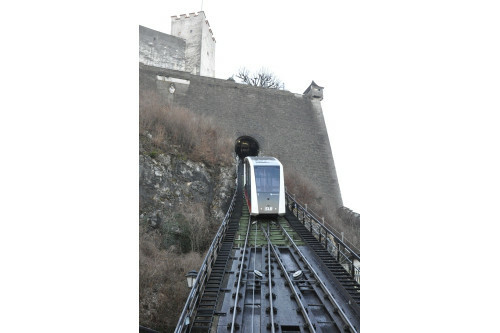 The maximum inclination of the track is 61%. The framework of the cabin consists of aluminum profiles. The columns of the framework are connected on the long sides of the cabin with a steel profile. The individual profiles are connected to each other by welded or rivet connections. For weight reduction of the cabin the steel profiles are accomplished with perforated webs. 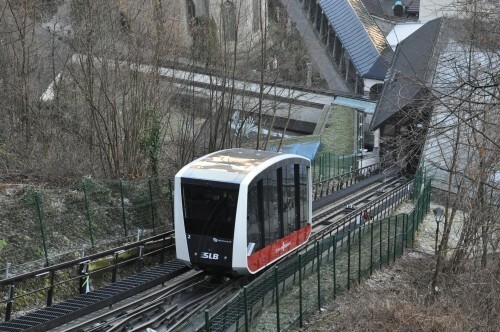 In the case of a rupture regarding the towing rope as a safety device the emergency brake will be activated, which stops the cable car within few meters. For this purpose two side grippers grasp the rail. 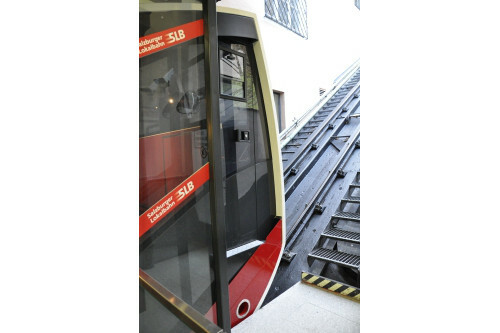 In addition to the standard loadcases such as live load and wind just that activating of the emergency brake as well as the buffer impact had been considered.